Lucky Festival started back in 2011, and this year was the 8th annual Lucky Festival. Lucky is a St. Patrick’s Day celebration where everyone comes dressed in green and gold, shamrocks and rainbows. The Tacoma Dome was decked out to celebrate this fun holiday too, with dancers and glitter and decorations hanging from the ceiling, it was definitely impressive. 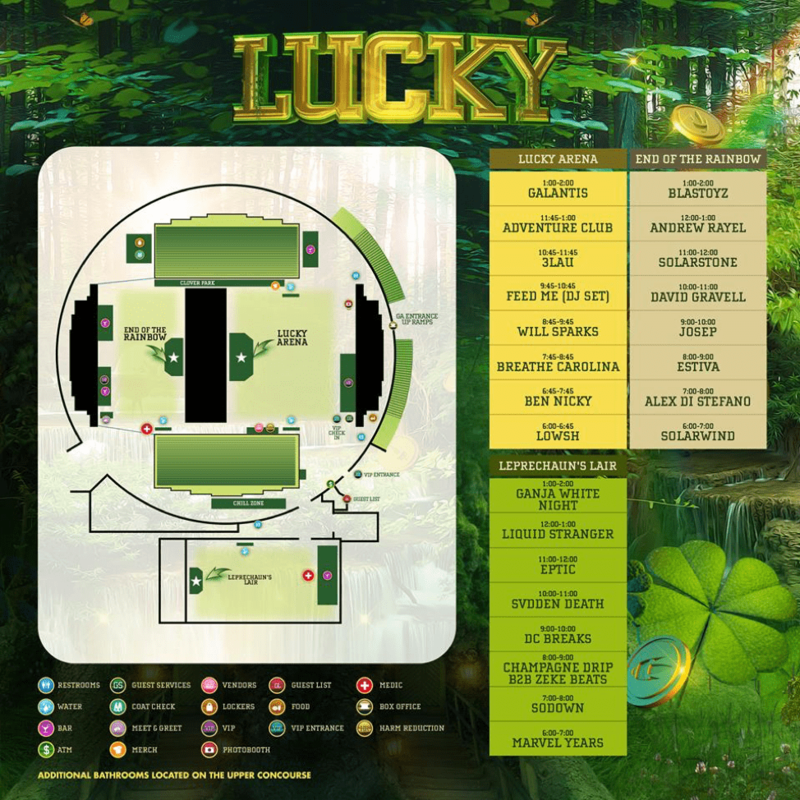 Lucky had three stages, and after going to Freaknight (at WaMu) which also had three stages, I thought the Tacoma Dome set up was a little odd. At Freaknight, each stage was in a different exhibition hall, which ensured that the experience of each stage was almost completely shut off from the rest of the venue (I liked this because each stage features different music). 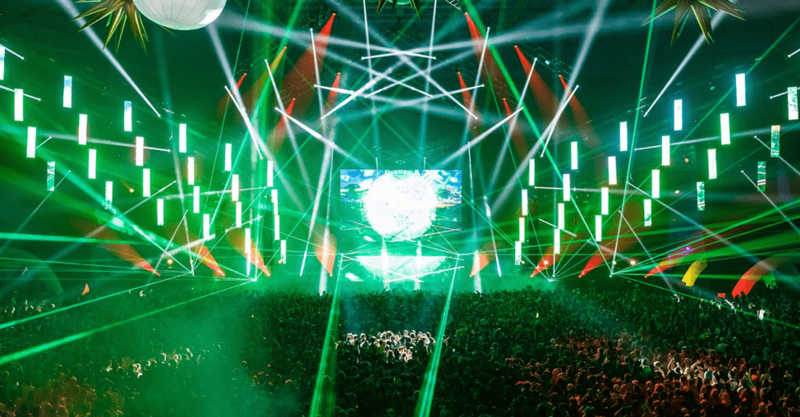 At Tacoma Dome, the venue is really just one big room (one big dome to be exact), so the main stage was back to back with the trance stage, and even though the music from the two stages didn’t mix to make a negative sound, it was a little odd because the trance stage felt tiny and squished. Bass stage had its own little section and I almost felt like there were more people there than at the main stage at times. In fact, we could barely get through the doors and into the crowd because it was so packed with happy little ravers who were dancing and smiling and head banging to the wub wub music. We made some friends at bass stage and ended up dancing with them at main stage for a bit too which was fun because I have never made rave friends before. UCS posted this awesome video that recapped the night, and watching it honestly made me feel like I missed out on some of the fun of Lucky. I didn’t see a lot of the cool things that were featured in that video (whoops) but that was probably just my goof. That video does a really great job of capturing how fun the night was, the crowd was very lively, and everyone had a smile on their faces. Some of my coworkers also went to Lucky and I talked to them about it after the show and they said it was the best rave they have ever been to. They were there the entire 8 hours and said they never got tired or bored, they fell in love with new rave friends and had an all-around blast. The Lucky Facebook is still blowing up with people commenting how it was the ultimate rave experience, perfectly perfect and thanking USC for their work. It had made me really happy to see all of these reviews and to hear the genuinely positive experiences of the guests at Lucky. 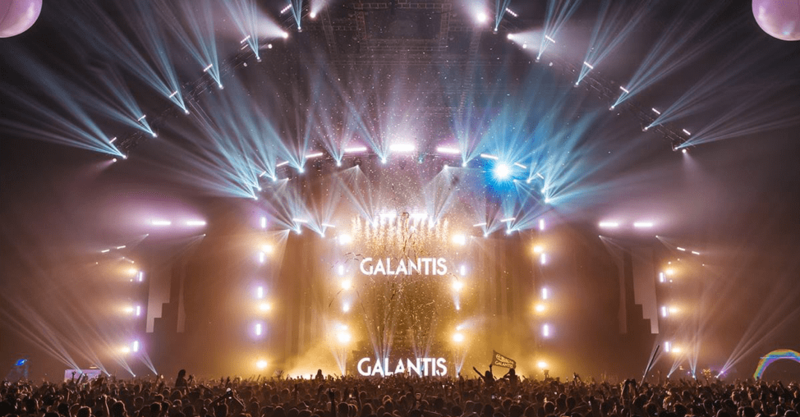 Galantis was the highlight of the night. It felt like ages waiting for them to come on, but their one hour and fifteen-minute set was over in a flash. Their visuals and stage presence were so clean and engaging and fun. I got to see a bit of the sound mixers in action (these are the guys who control how the sound comes through the speakers and the lights and they make sure everything is up to par) and let me tell you I have big respect for those people. They are the unsung heroes of the production, so shout out to them for being awesome. 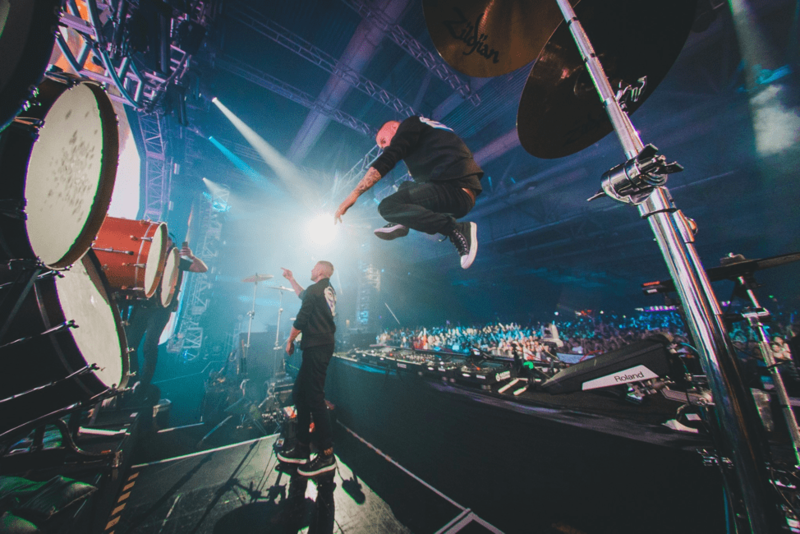 The entire arena was on their feet to see Galantic perform, dancing and smiling and singing along. They played their newest single “Bones” as well as old favorites like “Peanut Butter Jelly”. They put on an incredible show and even though some other aspects of the night didn’t go suupperrr well, it was all worth it to see Galantis. All in all, I would say Lucky did not live up to my expectations, but that is not to say I didn’t have fun. I don’t think that I have the stamina for 8-hour raves, but, hey, now I know. I did have some good points in the night, and I will continue to search for that “ultimate fun festival”. Right now, Freaknight is still #1 in my heart. I want to say a special thank you to all of the artists, the Tacoma Dome Theater staff, the security staff, the medical team, Conscious Crew, vendors, and every volunteer that spent countless hours putting Lucky together for the thousands of people who attended. I felt very safe as much of that was due to the effort of these individuals.